Judith Wright was called the “Conscience of My Country” for many reasons, particularly her relentless pursuit of environmental concerns and indigenous rights. Her voice, through her writing, became the voice of the people caring for the land and its first people. 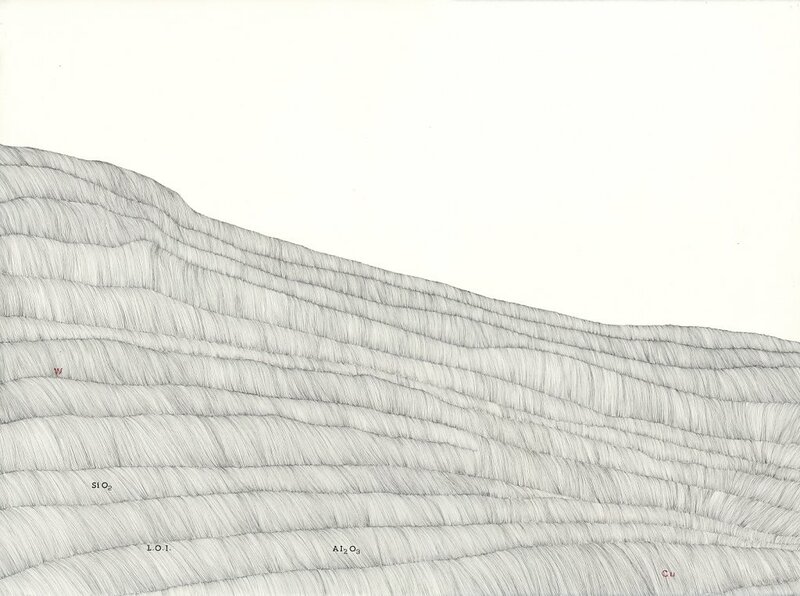 “Conscience of My Country” is the work that I feel represents the way Judith felt about our country, the landscape and the effects of mining on areas of great beauty. 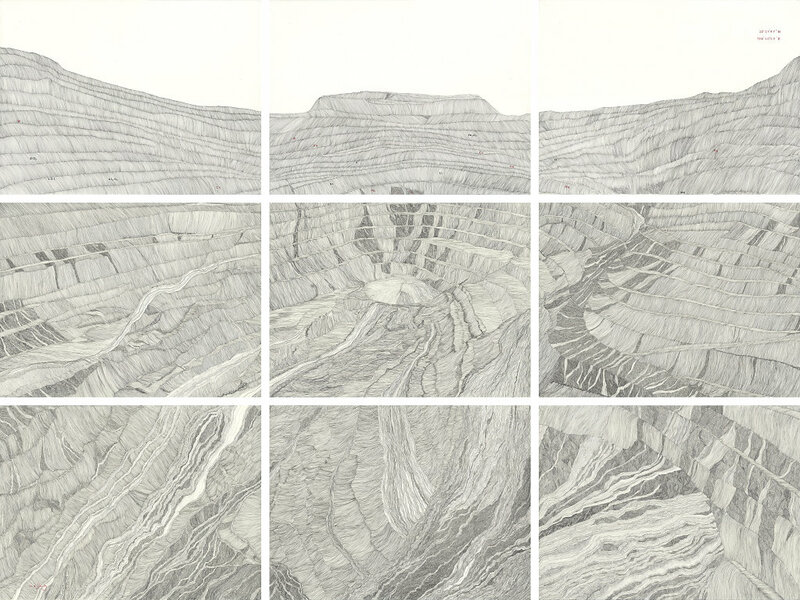 I wanted to create a work on a scale that is commensurate with the magnitude of mine-sites, and the scale of the BHP owned Mt Whaleback mine-site in the Pilbara, the basis for this work, is staggering. It is more than 5kms long, 1.5kms wide and will be mined to a depth of half a kilometre. The sheer amount of earth shifted and set aside as tailings, morphs into a manufactured landscape. The first panel in “Conscience of My Country” was started in 2010 in response to the mining boom in Western Australia and the seemingly endless migration of people seeking their fortune by extracting minerals from our landscape. I spent time on a vast cattle station in the Pilbara, WA, working with farmers and miners who are now sharing the land as they work side by side, mustering and mining. Once the domain of graziers, the Pilbara has become a mecca for the fortune hunters of today. The final panel was completed in 2015 during much publicity about the Shenhua mine on the East Coast. We are not immune to the cause and effect that the rise and rise of the new Chinese economy has created, nor can we readily and freely admit that our conscience is clear. The latest threat, Shenhua, a proposed coal mine on the fertile, Liverpool Plains near Gunnedah, NSW, is testament to the greed of governments where the landscape becomes the sacrificial lamb in the face of development. It is also testament to the power of people, like Wright, who stand up for the environment and give it a voice.